They are super loudspeakers if you don’t mind uncoloured,transparent sound with excellent bass response. Usually when I hear a speaker that is described as uncoloured and transparent they sound bright to my ears. Getting older seems to really highlight that now! They read really well though and love the looks. You mean this budget as in your original post? "So I’m looking a cheapish ( around £1k) pair of speakers used or new doesn’t matter that will allow me to remove the subs." Yep I’m keeping strict with myself, waiting for a reply from a guy I know in Poland regarding Pylon Saffire 31 speakers. Smart looking speakers. Have you heard them? I’ve read all the pylon reviews with translator app, they have a cracking build, quality drivers from seas and scans peak and use quality cross over components all point to point wired, add to that superb fit and finish ( they make cabs for audio physic and a few others) do real wood veneers or any high gloss colour you want. Not many others do that fir around a grand fir a 3 way speaker! So this was your original post (just to remind us). I'm not sure whether taking the plunge based on specs and online reviews is your usual way of buying hifi but if it is then I wouldn't be surprised if you were tired of "upgrading with little reward". Firstly, no-one else has your ears, your tastes, your equipment and your room. Secondly, the world of online reviews is as murky as the printed magazine world: advertising pays, and I can't remember the last time I read a review which didn't end up heartily recommending the item under review, even if heavily caveated ("with patience and the right partnering equipment, this product offers impressive performancs and value for money": lots of hedging of bets there then!). I hear you re location but GB is not far away. Buy some flights/crossings/chap B&B and get to a few demos. They won't be the same as at home but will give a much better perspective than reading an article. @falcoron I'm here, if I can help. TAGA - possibly the best (affordable) speakers you've never heard of. 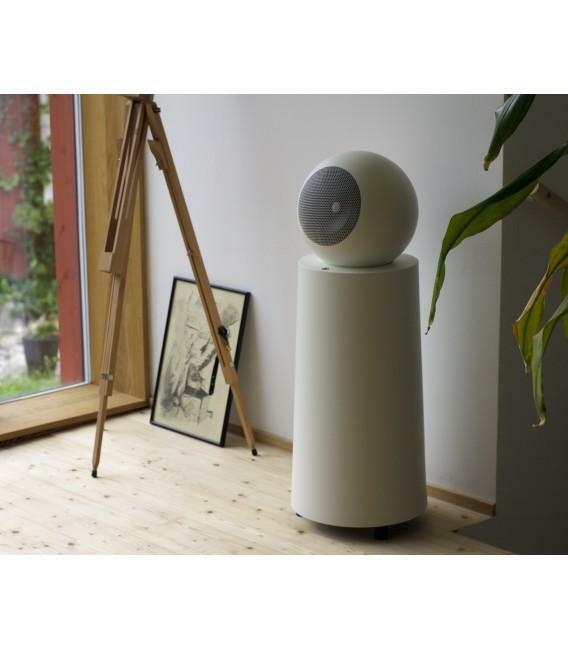 TAGA Harmony, to give them their full title, is a brand of speaker that is made in Poland. They manufacturer all their components in-house, and make a point of giving remarkable VFM, while still retaining high quality.....or so they claim. As yet, I'm not sure if they are widely available. The VFM sweetspot from the company is probably the £799 F-60 3 way Floorstander from the Platinum V.2 range, which I'm told has around 70% of the talent of the one that I heard....and is available in high gloss Black / White, Walnut and Wenge. If you want a ridiculously cheap 5.1 AV speaker system, consisting of 2 Floorstanders (Fronts); 2 Bookshelf (Rear); Centre and Sub......yours for £550 (or £299 without the Sub). While I was in the area, I decided to pop in and personally have a listen .......all for the good of the forum, of course. The speakers I chose to hear were the most expensive ones from their top Platimum SE Range (F-100 SE) , and cost £1850 for the Piano Black or White Lacquer. They were beautifully built, with a lovely Black Piano Lacquer, that had (IIRC) 6 or 7 hand-finished coats. They had very stable outrigger feet, with big chunky spikes, that reminded me of those on the MA PL300. It stood 109 cm tall, had a 1" metal tweeter, a 5.25" Mid and 2 x 6.5" Bass Drivers....and had a single port at the front. They have an excellent Sensitivity of 93 dB, an Impedance of 6 Ohms, and will take amps from 20-280W. The Frequency Response goes from a rather optimistic 28 Hz bass, to 40 kHz. I spent about an hour throwing a variety of music at them. The amp was cold, and the room wasn't ideal, but even still, it was clear that they have little to be embarassed about, at their price. The treble was clean and detailed, and though I was looking hard for it, there was no sign of the brightness that metal domes are often known for.....though how much of this was down to the Electro pairing, is hard to tell. The mids were acurate, with no exaggerated warmth, and the Bass was deep, without being overpowering. The impression was of a balanced, coherent sound, with no part of the audible spectrum taking over, and no particular nasties. The big question for me, was how they compared with my current favorites, namely the R500 / R700......this is a difficult one, because they were in a different room, with different kit.....but the fact that I paused for a moment to consider, demonstrates to me they are in the same ball park. I would say they have slightly less obvious Bass, and are slightly more open. As it stands, with what I've heard, I would find it hard to look passed the R700s, but if you want something "front ported", with a more manageable bass.....these are well worth a listen, provided you can find them. Keep your eyes out though, as if you get to hear them, let me know what you think. You should also try the Kef R3....though the new model has had a price rise (maybe there are some old R300 still floating about)....Lyric Hifi are the dealers here. The Tannoys that I have heard could sound a bit shouty with the wrong amp match....but good when well matched. I haven't heard Perreaux, so can't comment on how it might sound. Saying that buying at distance gives some prectection if you really don’t like what you buy. At under a grand or there abouts, the speaker world has really woken up probably as Q acoustic has raised the bar and a few others like Fyne, kralk, and a few from Poland and surrounding countries have really pushed the spec. I have a few friends on the continent that are really into the hifi game much more than I can dream of and to a point they keep me well informed. I work overseas a fair bit so do get to hear a lot of hi fi when I can and to get out of hotel rooms! I’ve been speaking to a few and they have all heard the pylon range or most of the ones at shows anyway. One guy I know well from Finland when working in Sweden and Finland together (I’ve heard his system which was superb ) has home demo’d the Saffire 31. His system is, speakers are Living voice and amp from lavardin, streaming with PS audio. He said the pylon speakers are sensational for the money. Much better detail, soundstage with deeper better quality bass, mids very similar but treble so much sweeter and better detail, I’ve owned living voice and loved them but found bass a little shy and treble smooth but safe and mids excellent. His hifi mates also heard these at his house and Everyone of them were gobsmacked how good these are! ive been speaking to a few Pylon dealers and the Manager over Europe and they have been exceptionally helpful. They have loads of speakers in 4 or 5 price ranges I asked for recommendations and gave them info on what I like, room size furniture etc. System now and music tastes, they all recommended the Saffire 31. Now there are a lot of more expensive speakers in their portfolio and it would be easy to recommend these more expensive models to get more money from me but not one did so that was both condistant and reassuring, I have a few more owners reviews to read that I have to get translated and I don’t read too many magazine reviews I tend to ask the owners and fellow hi fi geeks who are a lot more real world when reviewing, warts and all. Pylon also have a Facebook forum page and I’ve PM’d a few owners there too and have had great replies.